Is Huntsville’s music landscape set for radical change? Posted on Friday, April 20th, 2018 at 3:37 pm. You can’t engineer Athens, Ga., Minneapolis or Muscle Shoals in a lab. A viable, vibrant local music scene has to happen naturally. But if the right opportunities are created, good things have a better chance of happening. And right now, multiple projects are in development that could radically change Huntsville’s music landscape within the next two years – and possibly affect larger resonance for decades. Some of the projects are aimed at giving musicians a better chance to flourish here. Others, at giving fans more opportunities to see high-level concerts in Huntsville, and thereby help make the city more attractive for young professionals and companies that employ them. These projects include a city-funded 8,500-seat amphitheater at MidCity, the sprawling mixed-use facility being built on the former Madison Square “super mall” grounds, on University Drive. 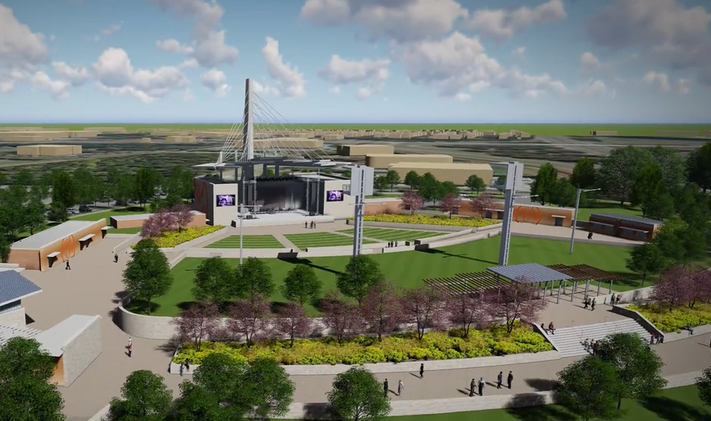 Current plans are for amphitheater construction in 2019 and the first concerts in summer 2020. Huntsville finally landing an amphitheater would be significant for live music fans here, because many touring acts specifically tailor concert production during warmer months for amphitheaters. If a market doesn’t have an amphitheater, that market will likely be bypassed for those tours. The Huntsville amphitheater will be a city-owned facility similar to the Von Braun Center, with the VBC assisting with operations, according to Huntsville Director of Urban Development Shane Davis. The city has targeted MidCity as the most viable location for an amphitheater, with proximity to I-565, and thus convenient access for both local and regional fans, being key. Next steps for the amphitheater would be to enter into a design contract this summer and bid the project sometime in 2019. Amphitheater funding, as with the city’s other facilities, would be allocated from Huntsville’s Capital Improvement Plan. 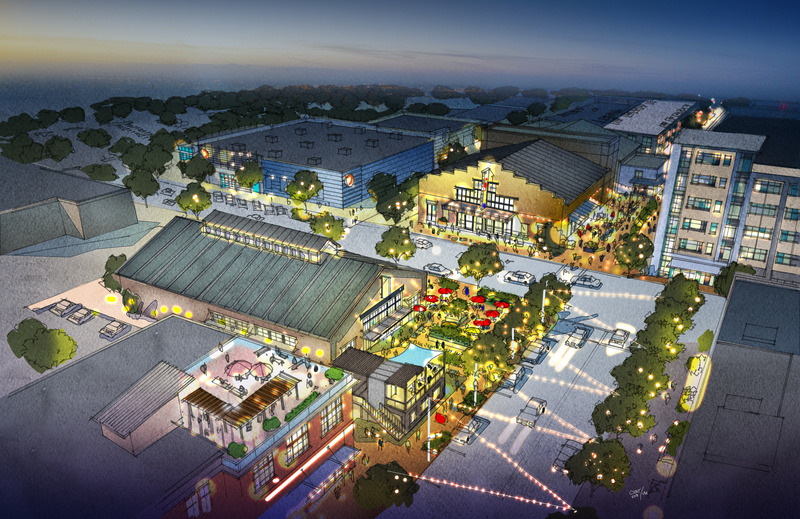 MidCity plans also include a restaurant/entertainment venue involving Nashville pop-country hit-makers Rascal Flatts, who’d reportedly perform there at least once a year as part of the deal. Perhaps most intriguingly, MidCity is also set to build “a music and cultural arts incubator,” dubbed The 7-2, for Huntsville original music. Named for the nearby highway U.S. 72, the project would, according to RCP, include performance venues, rehearsal spaces and recording studio. The 7-2 would also be a place for musicians, songwriters, producers, publishers, booking agents, dancers and management companies to connect and collaborate. The project is set to be physically located adjacent to MidCity Live. RCP-sponsored entities would fund The 7-2.